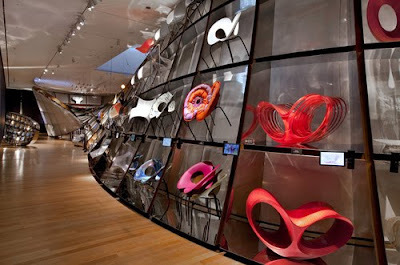 In the exhibition Ron Arad: No Discipline, Israeli born designer Ron Arad’s most innovative objects are on display, from carbon fiber armchairs and polyurethane bottle racks to plastic and digital spaces. Making fast food healthy, Yoshinoya serves bowls of rice, vegetables, and your choice of beef, teriyaki chicken, veggie, or a combo of meats. Super cheap, it’s a favorite spot of mine in midtown. A great dive, Rudy’s Bar and Grill serves up cheap beer by the pint or by the pitcher, and as for the grilling, that includes free hot dogs and popcorn! Though slightly on the expensive side, if you’re in the mood for duck and are a couple or in a group of four or more, Peking Duck House makes some of the best duck you will ever likely have.